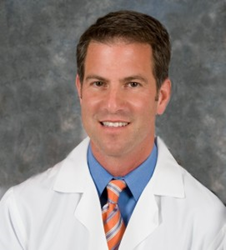 Dr. Mark Leondires, a Board Certified reproductive endocrinologist and partner at Reproductive Medicine Associates of Connecticut, has helped thousands of patients become parents. Path2Parenthood (formerly The American Fertility Association) recognized Mark Leondires, M.D., for his contributions and work with patients at the organization’s annual "Illuminations" fundraising gala in New York City last night. Dr. Leondires received the Joyce M. Vargyas, M.D. Visionary Award, which celebrates the work of individuals and organizations who have made a positive impact in the fields of fertility, reproductive health, and family building. Since Dr. Leondires established Reproductive Medicine Associates of Connecticut (RMACT) 13 years ago, the practice has become a leader in the infertility field with some of the most successful ongoing pregnancy rates in the country. Dr. Leondires is known throughout the infertility field for his whole-patient approach. RMACT is a comprehensive fertility practice that offers cutting-edge medical treatment, as well as emotional support, yoga classes, acupuncture, nutrition counseling and patient workshops. These services are part of Dr. Leondires’ mission to bring fertility success to everyone. RMACT has a robust program for patients seeking help for primary and secondary infertility, fertility preservation and family building options for the LGBTQ community. Path2Parenthood (P2P) is an inclusive organization committed to helping people create their families of choice by providing leading-edge outreach programs and timely educational information. The scope of their work encompasses reproductive health, infertility prevention and treatment, and family-building options including adoption and third party solutions. P2P is a national, not-for-profit 501(c)(3) charitable organization headquartered in New York City.P2P services and materials are provided free of charge to consumers and are available to everyone without reservation. These services include leading-edge educational outreach events, an extensive online library with HD videos, a daily blog, a resource directory available for download on mobile devices, telephone and in-person coaching, and a toll-free support line. RMACT specializes in the treatment of infertility, including assisted reproductive technologies (ART) such as intrauterine insemination (IUI), in-vitro fertilization (IVF), and Comprehensive Chromosome Screening (CCS) . RMACT, Fairfield County’s largest fertility clinic and egg donation center, is one of 11 leading In Vitro Fertilization (IVF) centers nationwide chosen by In Vitro Sciences to participate in its Centers of Excellence program. RMACT has offices in Norwalk, Danbury, Stamford and Trumbull, CT and an affiliate New York fertility clinics serving Putnam and Dutchess counties. RMACT also offers infertility treatment financing and support services, such as nutrition counseling, massage therapy, psychological counseling, acupuncture and yoga, through RMACT’s Integrated Fertility and Wellness Center.